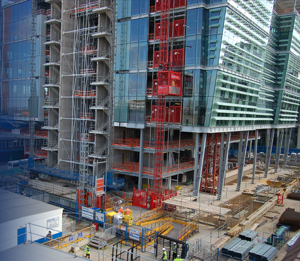 Multitech provide a full range of construction / building site services including temporary electrics, temporary lighting, temporary plumbing, installation, testing, certification, generators and fuel. Since 1998 Multitech Site Services have been supplying temporary site services with a focus on construction and building site lighting and equal emphasis on Site Safety – a priority for Multitech. Multitech Site Services is proud of it’s reputation for excellent service and reliability at all levels of the organisation. Our dedicated Area Managers and construction and building site lighting installation teams reside and work within their geographical regions, ensuring that our service commitment is always upheld. In accordance with internal quality assurance all plant and equipment arrives on site having undergone full inspections and servicing by our workshop maintenance team prior to delivery.